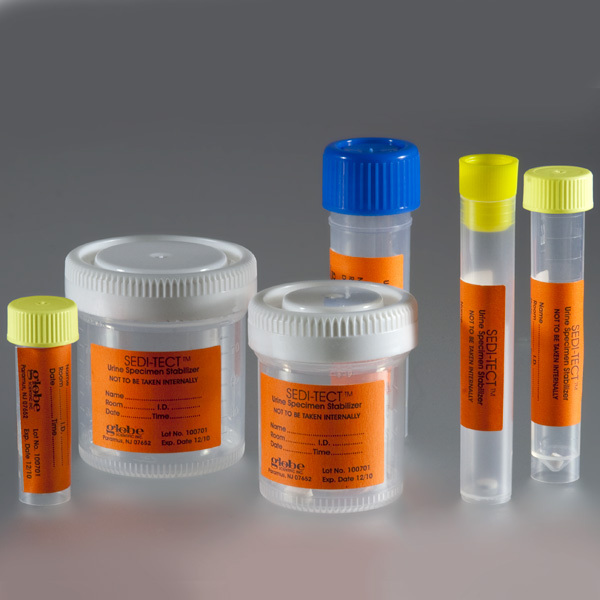 Sedi-Tect™ features a special urinary preservative tablet that maintains the formed elements found in urine sediment samples and the key diagnostic markers used in reagent strip (dipstick) testing. The time-release tablets dissolve and activate rapidly. Samples remain stable for up to 5 days and can be stored or transported at room temperature. Sedi-Tect™ protects critical diagnostic indicators (WBC's, RBC's, casts, crystals and ova) from lysis and decay by controlling micro-organisms, osmolality and the pH. It is convenient for remote specimen collection sites, where delays of even a few hours can mean the difference between accurate and inaccurate results. Sedi-Tect™ also decreases the need for costly, time consuming repeat sampling.